For more information on the CMBN at Rutgers University in Newark, please visit www.ncas.rutgers.edu/cmbn and www.newark.rutgers.edu/inside-brain. Dr. Jan Lewis, acting dean of the Faculty of Arts and Sciences at Rutgers University, Newark, has announced the appointments of Dr. Denis Paré as director and Dr. Bart Krekelberg as associate director, of the Center for Molecular and Behavioral Neuroscience (CMBN) at Rutgers University, Newark. Paré and Krekelberg succeed Drs. Paula Tallal and Ian Creese, who had served as co-directors of CMBN since its founding in 1985. CMBN's researchers explore the frontiers of neuroscience including neuroplasticity, development, infant cognition, neurodegenerative diseases, visual perception, fear and anxiety, motivation, learning and memory, and transcranial stimulation. The Star-Ledger recently identified CMBN as one of New Jersey’s “12 brainiest places.” Currently, the CMBN houses nine research teams, trains the researchers of tomorrow in the Behavioral and Neural Sciences graduate program, and offers introductory courses and internships for undergraduate students. Rutgers Professor of Neuroscience Denis Paré is a scholar of international renown. He trained at Université Laval in Quebec City, Canada, where he obtained M.Sc. and Ph.D. degrees in neurobiology, and then at New York University’s Medical Center, where he was a post-doctoral fellow. His research on the neuronal substrates of traumatic memories offers new hope for the treatment of anxiety disorders such as Post Traumatic Stress Disorder. His laboratory uses a variety of electrophysiological techniques as well as neuroanatomical and behavioral approaches to understand how memory is regulated by emotions. Since his arrival at Rutgers University in 2002, he has received more than $8.5 million in federal funding. Paré has published two books and 124 peer-reviewed papers, including a number of highly-cited papers in the leading journals in the field such as Nature, Nature Neuroscience, Proceedings of National Academy of Sciences, and the Journal of Neuroscience. He has served on the editorial boards of The Journal of Neuroscience, The Journal of Neurophysiology, and Neuroscience. For more information please visit http://parelab.rutgers.edu/. 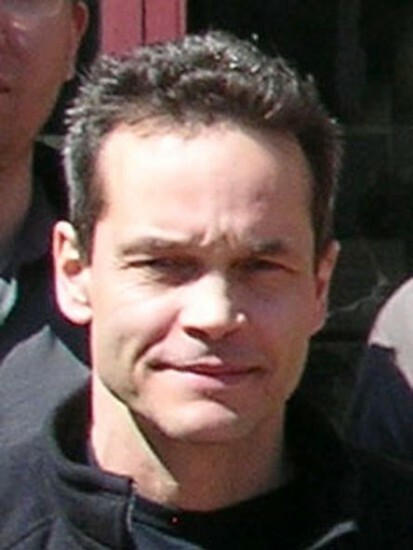 Born in the Netherlands, Rutgers Associate Professor of Neuroscience Bart Krekelberg received master’s degrees in theoretical astrophysics and cognitive artificial intelligence from Utrecht University before proceeding to the University of London (King's College), where he received his Ph.D. in mathematics in 1997. Prior to joining the faculty of CMBN in 2005, Krekelberg worked as a post-doctoral fellow at Ruhr University in Bochum, Germany, and as a research associate at the Salk Institute in La Jolla, California. His research on eye movements, visual perception, and the mechanisms of transcranial stimulation is supported by the Eye Institute of the National Institutes of Health and has been published in Nature, Current Biology, Neuron, and many other leading journals in the field. In 2007, he was named one of 20 U.S. Pew Scholars in Biomedical Science. Krekelberg was a co-principal investigator on the National Science Foundation grant that established the Rutgers University Brain Imaging Center, where he also serves as an associate director. For more information please visit http://vision.rutgers.edu. During the course of her 40-year career, Paula Tallal has been awarded the highest honors that Rutgers bestows, the Board of Trustees Award for Excellence in Research and the rank of Board of Governors Professor. She has published more than 250 papers on the neurobiological basis of speech, language and reading development and disorders. She was selected by the Library of Congress to be the Commentator for the field of psychology at its Bicentennial Celebration. In 1996, Tallal co-founded the Scientific Learning Corporation, a neuroscience company dedicated to developing and delivering research-based, cognitive training programs broadly aimed at improving academic outcomes, where she continues to serve on the Board of Directors. She is the co-inventor on dozens of patents and won the Thomas Alva Edison Patent Award for her innovative research leading to the development of the Fast ForWord series of neuroeducational training programs, which are in widespread use worldwide. Among numerous other honors, Tallal was selected as a 2012 Inventor of the Year by the New Jersey Inventors Hall of Fame. Board of Governors Professor Ian Creese has published 138 research articles and 80 invited chapters and edited four books. His research focus has been the molecular mechanisms involved in central nervous system receptor regulation and their relationship to behavior. His expertise and interest in neurological diseases led to his appointments to the scientific advisory boards for the Dystonia Research Foundation and the Tourette Syndrome Association. His research is widely recognized and he was listed as a "Citation Superstar" by the Science Citation Index with more than 5,000 citations to his research between 1973-84. Over the years, Creese has been awarded a postdoctoral fellowship from National Institute on Drug Abuse, a Sloan Research Fellowship, and awards from National Institute on Mental Health. He has served on the editorial boards of numerous journals.